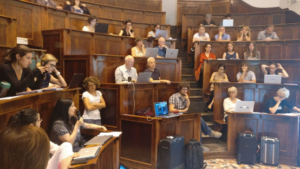 SIMRA partners and members of the Scientific Advisory Board gathered in Padova from 12th to 14th June 2018 for a productive annual project meeting and the second General Assembly, hosted by the University of Padova. Halfway through the project, and having already completed the first periodic reporting, the meeting was an opportunity to reflect on achievements and progress thus far, and to plan our next steps. After two years of research, the teams in charge of conceptualising social innovation, designing evaluation indicators, testing these theoretical tools on the ground and looking at policy implications are starting to see their efforts converge. Of particular importance for SIMRA at this meeting was the launch of case studies and innovation actions which will enable the collection of an extensive amount of empirical data and testing of newly elaborated SIMRA models. 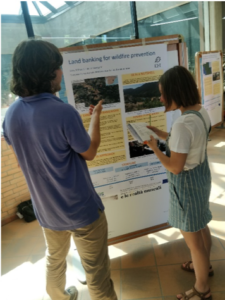 Presentations included those from hosts at the Prato della Valle during the project visit to the Po Delta, and stakeholders from Martinšćica, Croatia. 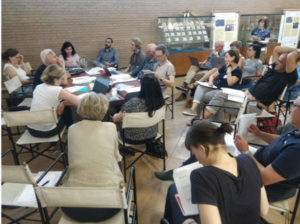 Following the SIMRA General Assembly, a group of SIMRA researchers set off for the seventh AIEAA Conference(the Italian Association for Agricultural Economics) in Conegliano, Italy. A blog post will follow on the session they moderated focusing on social innovation in marginalised rural areas.